From my childhood, I like photographs. But in my society it had more difficult to do it properly. So during post graduation in Accounting, I started my visual techniques as a Photographer in 2001. In 2006, I joined Pathshala (South Asian Institute of Photography) and some changes are happened in my life. I complete some workshop in Chobimela IV (2006). 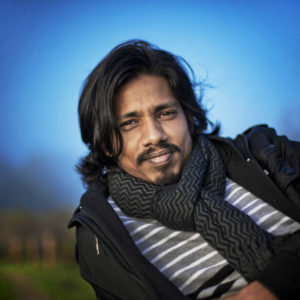 I am very inspired by my teachers Shahidul Alam, Abir Abdullah, Morten Krogvold, Reza Deghati. They teach me punctuality, energy and how to honor my photographic subjects. In 2009, I completed Photojournalism from Pathshala (South Asian Institute of Photography). I am worked as a freelancer in some Daily Newspaper in Bangladesh and Majorityworld (International Photo Agency). I have been awarded as a 2008 All Roads Photography Program of National Geographic Society for my Documentary Project. In 2009, I received Alexia Foundation Student Award (Award of Excellence). I have some group Exhibition in Bangladesh, in 2009 Chobimela V (International Photography Festival), in 2009 Photojournalism Competition on Human Rights in Montreal, Canada and 2008 National Geographic Headquarters in USA. Always I want to show a documentation of human with my photographs and tell a story with them as a messenger of the community. My philosophy is that it is essential for the photographer to create communication and trust with his subjects. Photography has the visual power to educate by allowing us to enter the lives and experiences of others. Through photography, I hope to help the society to empathize with hidden social, political and environmentally suffered people. It is important to realize that no documentation will ever be finished. This work informs my identity that has started from one point but has no ending. © Khaled Hasan 2018. All Right Reserved.